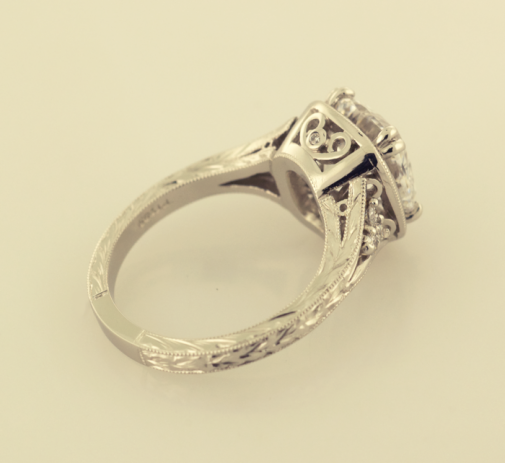 We were commissioned to create a solitaire ring to reminisce a piece that would be fabricated one hundred years ago. This piece has a 2.69cts. 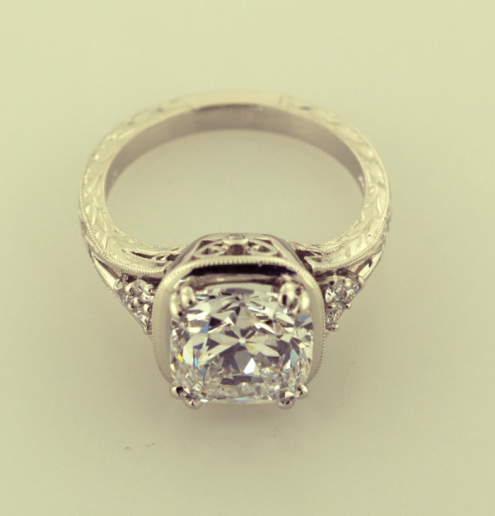 center classic antique cushionccut diamond with .32ct. total diamond weight accents around center diamond. 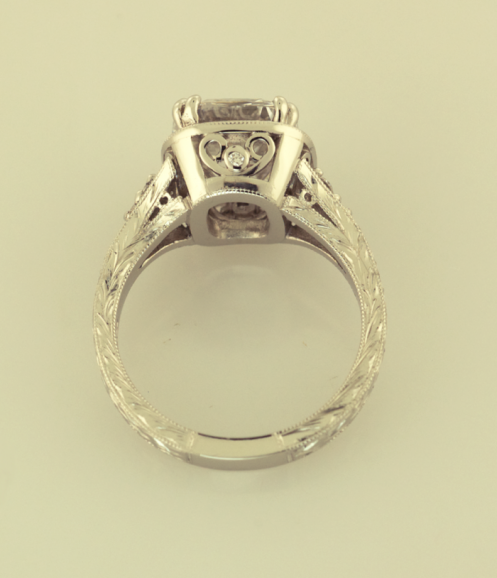 The piece is also hand engrave the floral motif.